Hear a fascinating and in-depth talk by Jennifer Lahl on the history of surrogacy, the industry that services it, and the victims it has left in its wake. The talk was hosted by The Iona Institute. 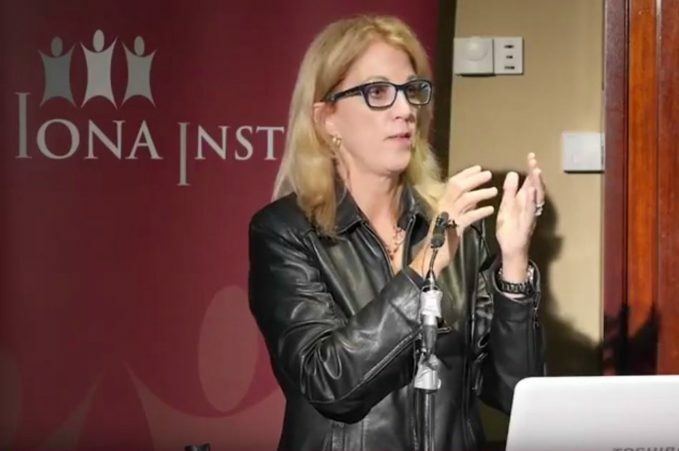 Jennifer is the founder and president of The Center for Bioethics and Culture Network(CBC) in California. She has 25 years experience as a pediatric critical care nurse, a hospital administrator, and a senior-level nursing manager and is fuelled by “a deep passion to speak for those who have no voice”. She set up the CBC to examine bioethical issues that most profoundly affect our humanity, especially issues that arise in the lives of the most vulnerable among us. They work through “a variety of media platforms—documentary film, writing, speaking, interviews, social media, and more—to educate and inform members of the general public, thought leaders, lawmakers, and others on ethical issues in healthcare, biomedical research, and biotechnological advancement”. In her talk she spoke candidly about the history of Assisted-Reproduction and the often unseen victims of surrogacy and egg and sperm donation. You may see a video of her talk here.